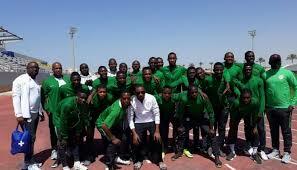 Flying Eagles to face Saudi Arabia ahead of Under-20 AFCON – Royal Times of Nigeria. 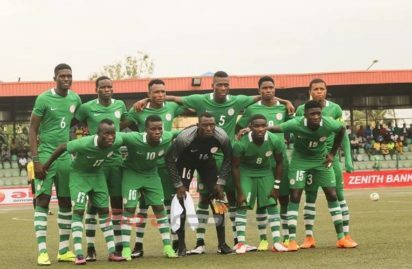 The Under-twenty National Team, Flying Eagles, will trade tackles with their Saudi Arabian counterparts in an international friendly designed to toughen the team ahead of next month’s Africa Under-twenty Cup of Nations in Niger Republic. Team Administrator, Aliyu Ibrahim Lawal said that arrangements were in top gear for the seven-time African champions to fly out of Nigeria this weekend for the game billed for Tuesday, the twenty-second of January in Jeddah. Tuesday’s match will rekindle memories of the opening match of the 1989 FIFA Under-twenty World Cup finals, in which the Flying Eagles came from behind to defeat the Saudis two-one inside the King Fahd International Stadium on the sixteenth of February 1989. Coach Paul Aigbogun is expected to travel to Jeddah with the squad he will be taking to Niger Republic for the Under-twenty AFCON, where Nigeria will contest in Group A against host nation Niger, South Africa and Burundi.